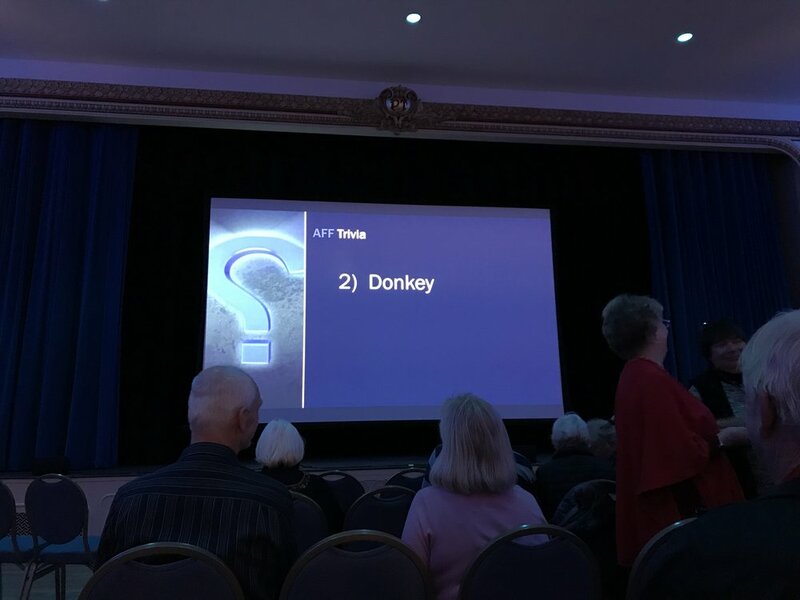 We just wrapped up an AMAZING weekend in Glens Falls for our About a Donkey screening at the Adirondack Film Festival. It’s a newer festival in its 3rd year that I had honestly not heard of until a few months back. 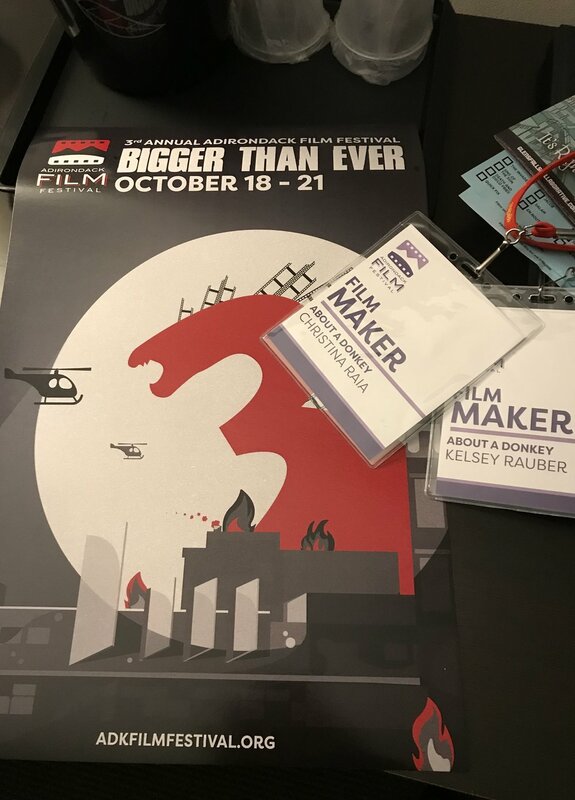 A filmmaker friend told me that they had a great time at the festival the year before, so I decided it was worth the low-ish submission fee to give it a shot with our feature. I’m so glad I did because it is now on my personal list of top film festivals, for sure. There are a few reasons. First, they were extremely organized & communicative leading up to the festival, and overall had a really filmmaker friendly vibe. They also stood out right away because they created a distinction between their high profile feature invitationals (which they called headliners) and the truly independent features in competition that came in via submissions; something festivals so rarely do (blog post on that coming soon). Then they offered all filmmakers one free hotel room during the festival, which is also very rare, especially for ALL filmmakers. And on top of that, they gave us a code for free Uber rides to & from the main venue. So, considering the perks and overall very open & honest approach, I had a good feeling going into the festival. However, I didn’t expect to have as phenomenal a time as we ended up having. For one, everyone part of the fest knew who we were right away and made an effort to make us feel included and taken care of the whole weekend. 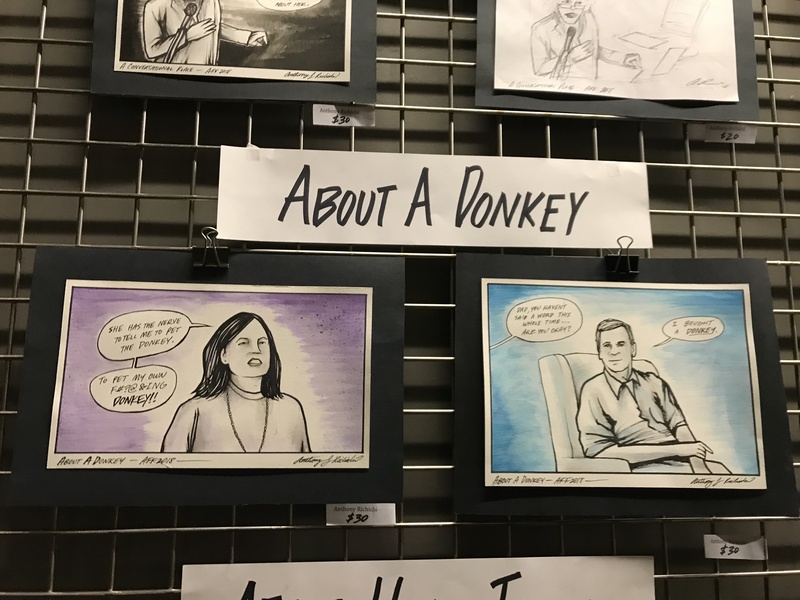 And something incredibly unique & creative is that they had local artist Anthony Richichi create pieces of art inspired by each film with a filmmaker in attendance. Anthony was happy to meet us; he told us he loved our film, and showed us the art he made - which he said was inspired by two moments in the film that really stood out to him. We feel he captured moments that definitely embody those two characters and tend to get good reactions from the audience at screenings. It’s such a cool thing he and the festival do, and it really shows how they make every individual filmmaker feel seen and appreciated. And then there’s the audience! For such a new festival, it has some serious community support. So often, especially with a feature, it’s a struggle filling a screening. It requires a lot of networking with the other filmmakers at the fest, hoping that they’ll choose to see your film instead of whatever other films or blocks conflict with it, and promising you’ll do the same for theirs. It can be good for film-community building, but it can also feel salesy and competitive. We’re all film fans, as well as film makers; but I don’t think I’m alone in saying that I don’t want the only people at my screenings to be the other filmmakers with work screening at the festival. I love the ways we can support each other, but festivals should be a way to also reach non-filmmakers in their hometowns. Getting one’s work in front of general audiences will always be the dream, but so few festivals actually create that access & engagement. This festival, though, somehow manages to do it! 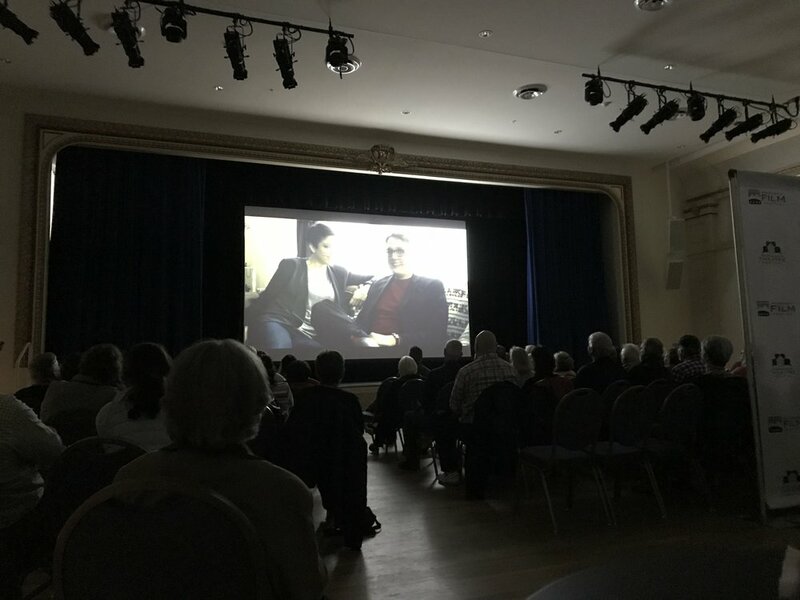 The locals were genuinely excited about the festival’s existence in their town, and they really came out to discover new films and filmmakers. 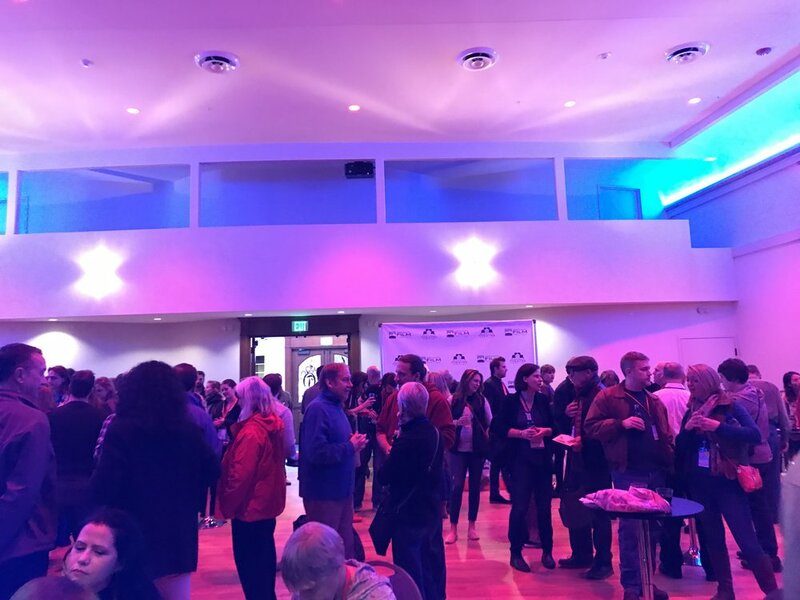 Of course, we did network and make new filmmaker friends too, but the festival didn’t have that pressure of selling your screenings to each other in the way others do. We all just got to pick what interested us most, and show up where we could, when we could. So, having witnessed the high local turnout at opening night, we were very eager to see what ours would be like. 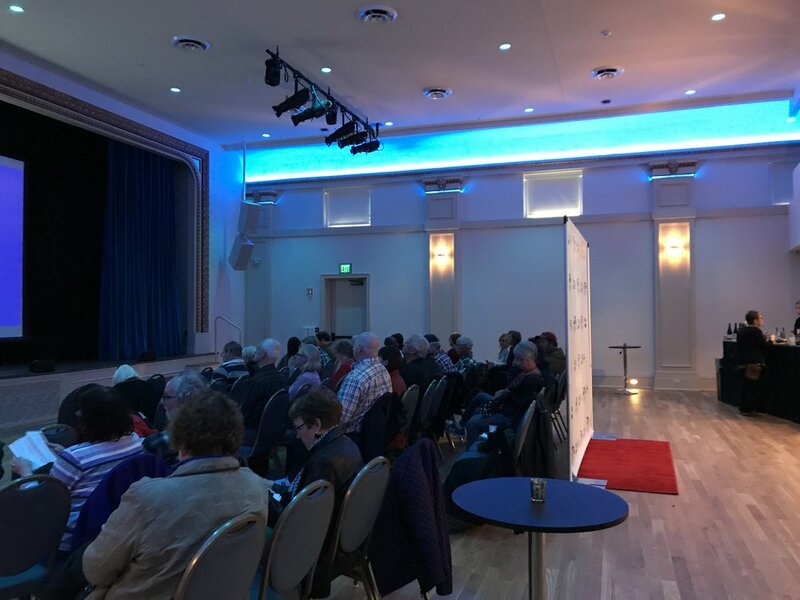 We were a bit skeptical of our 2pm on Friday timeslot, but the 12pm feature screening before us had over 50 people in attendance; and the vast majority seemed to be locals, completely unfamiliar with the film or filmmaker. That got us excited for our own turnout! And it only got more exciting when we saw the staff needing to add more chairs for all the new people coming in for our film! We ended up with a full house of 77 strangers in attendance. 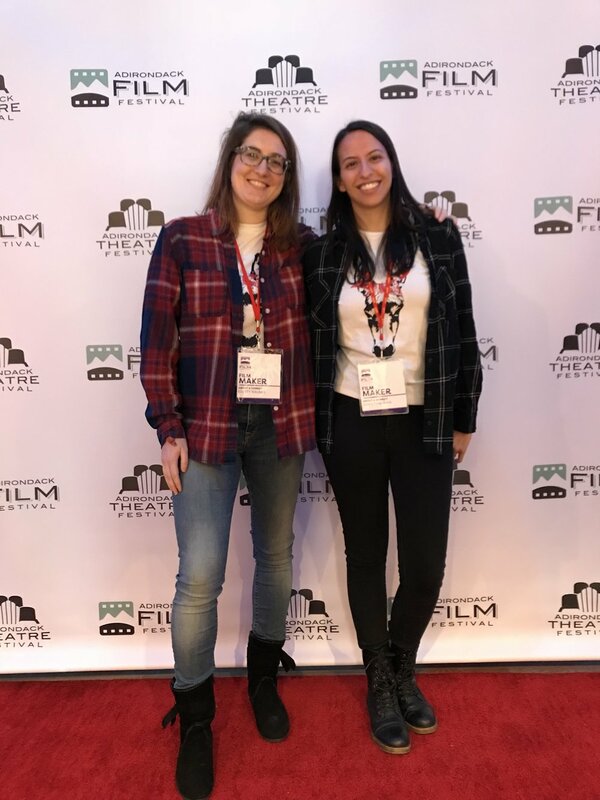 There was one filmmaker friend who came to support, but all the others were not only locals to Glens Falls, but seemingly not filmmakers at all. They were exactly the kind of people we wanted to reach, individuals outside our network or usual reach who appreciate independent art but probably wouldn’t seek it out on the kinds of indie platforms our work would later be distributed on. As for the screening itself, the venue was beautiful and the film looked incredible in the space. The film got a lot of laughs. However, there was one negative aspect of the experience; there’s a moment in the film where two women are on the verge of a romantic (but not sexual) moment, and an older woman in the audience got up and walked out with her two young grandsons. And then a kiss happens in the film between those two characters, and another elderly woman shot up out of her seat and walked out at that exact moment. We were definitely disappointed by those two reactions. It put a bit of a downer on the experience for us; but only for a moment because, as soon as the credits rolled, we had people surrounding us with compliments. A woman shouted, “what a beautiful little film” as she exited, and others told us they loved it and that they would vote for us for audience choice. 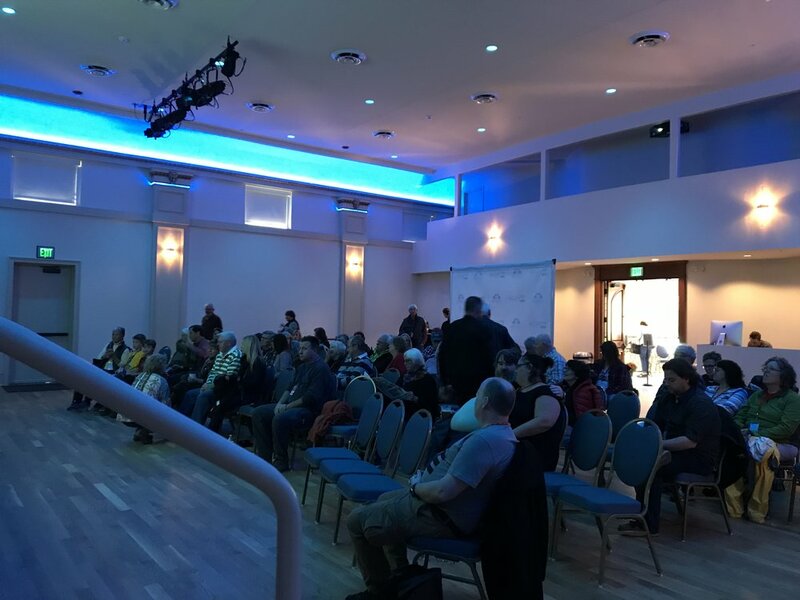 An elderly man, who’s a demographic we thought least likely to identify with our film, chatted with us the longest, asking us questions about the filmmaking process and complimenting us on how strongly the story came together and touched the audience. We were riding high after that, and enjoyed the rest of the day, taking in more screenings (all of which were extremely well attended by locals), and enjoying the filmmaker party that evening. 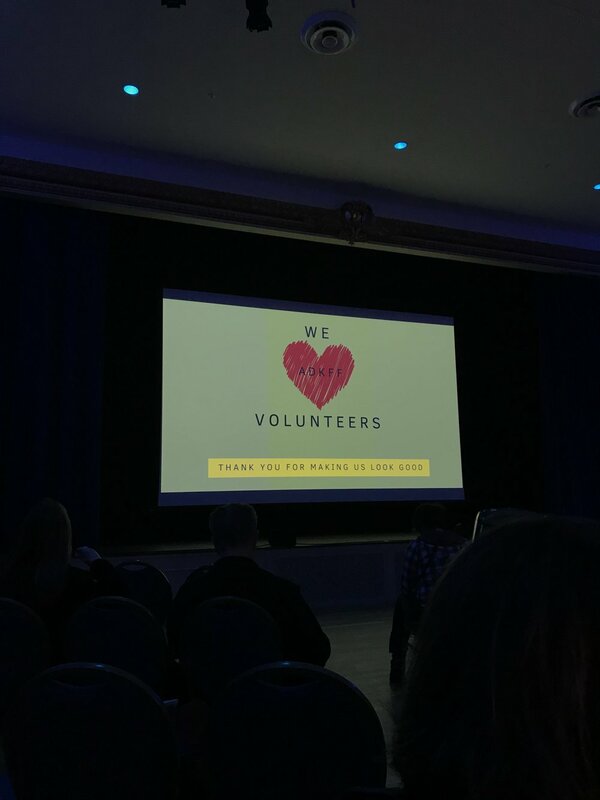 On Saturday, we watched a bunch more of the excellent content (programmed by the lovely Programming Director Jessica Levandoski), including films by existing filmmaker friends in attendance. One of my favorite things about the festival, too, is that the thematic shorts blocks were heavily curated and very short. None went over 70 minutes, which I think is perfect. So often, shorts blocks go on for so long without a break, and films don’t get their deserved processing time. I think the scheduling of the festival was really efficient. My only complaint is that they don’t do Q&As. On one hand, I get it & appreciate it for the fact that more films could be screened and people could get from one venue to the next (all 5 were in walking distance) without missing the beginning or end of films. But as a filmmaker, I think a lot of the satisfaction of discussing your work with an engaged audience is lost when there’s no designated Q&A time. 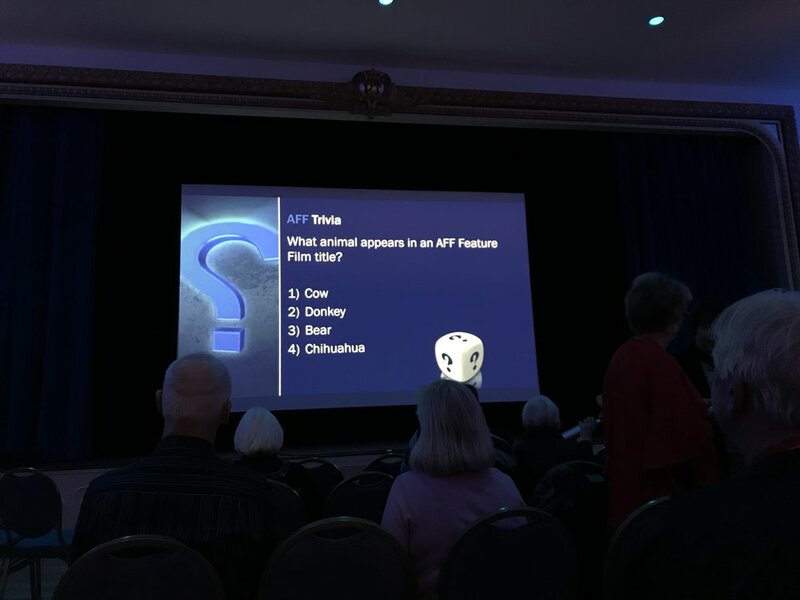 We had some great conversations with people who had time to stick around, but I do think we would’ve been able to get more feedback and build relationships with people who’d take an interest in future work if we had the platform to discuss the film in an allotted amount of time immediately after our screenings. That said, I think the festival did an excellent job of facilitating conversations with the local attendees at the evening parties. I’d love to see more balance there in the future, maybe even just 5 minute Q&As for the single screening feature blocks. 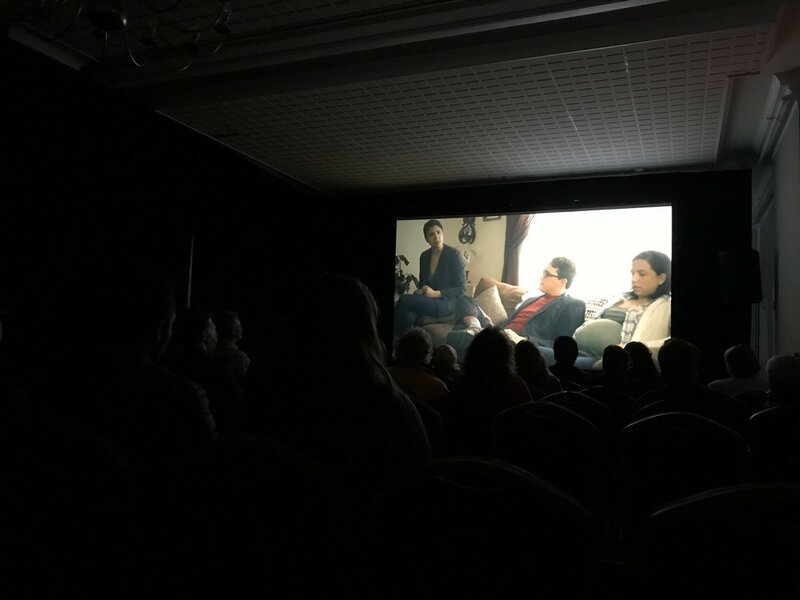 Anyway, at 6pm, we had our second screening (another perk of the festival was that all films screened at least twice), where we were put in a smaller venue at the hotel (still looked & sounded excellent) with 40 seats. We had 36 people in attendance. Four were filmmaker friends but all others were locals. 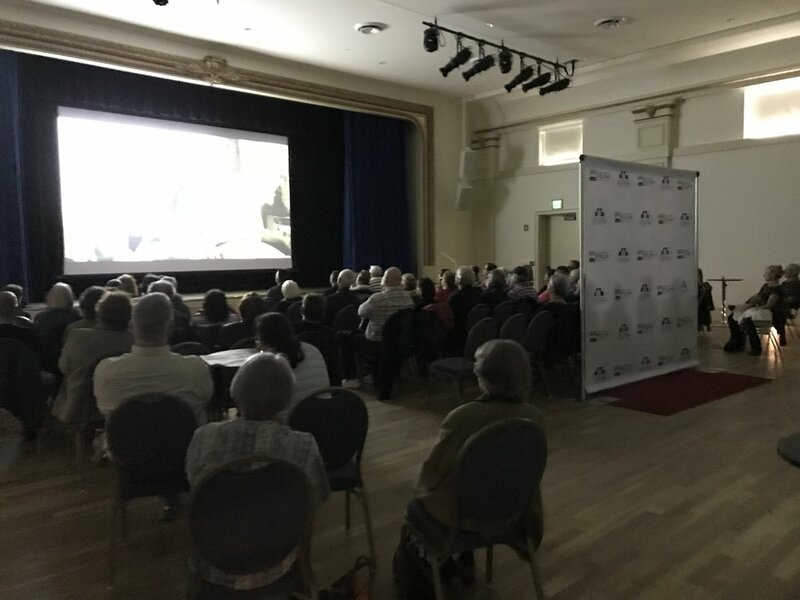 It seemed that the Saturday screenings overall were less attended than Friday, and ours was considered one of the bigger crowds of that day. But even so, I didn’t see a single screening with less than 20 people (which was such a refreshing change from our last festival experience). Not to mention, every screening had 4 other screenings happening at the same time. The fact that all were decently attended is seriously impressive. (Trust me, I attend a lot of festivals for work. It’s legit amazing. Only matched, in my experience, by NCGLFF.) Our film, again, got great laughs. And no one walked out this time! Afterwards, many people told us they loved it as they exited. One woman was on the verge of tears and said “thank you for making me feel so good,” which nearly made us cry. Our filmmaker friends complimented how we created “such vivid characters … and so many, in such a short amount of time,” and how much “the family felt like a family,” and they appreciated how well we “built up the sexual tension in the main romance so that it all really paid off.” All lovely comments. An older woman came over to us and said “now, I have to say, as someone over twice your age, you really showed me your world … and it’s not my world, but it’s yours … and all of that is so normal, and that’s just great … and I loved it. Thank you for sharing it with me. And I’m so glad girls made one of the best ones!” It was such an unexpected and sweet comment. We had to decipher it a bit, but we assume she was trying to make a positive statement about the way we presented our queer and interracial relationships in the film as just existing without any drama or needing to label them. And it’s cool that she deemed our film as one of the best she had seen! Also, again, an older man who we wouldn’t expect to come over to express feelings about the film came over and asked what inspired such a creative story, and then told us we did a great job and he really enjoyed it. It was so wonderful having people come up to us with curiosity and appreciation. So few festivals manage to create and capture that kind of engagement (especially when there’s no Q&A or pressure on them to say anything to us at all). The Adirondack Film Festival is really special and will definitely be a staple on my submission lists moving forward. 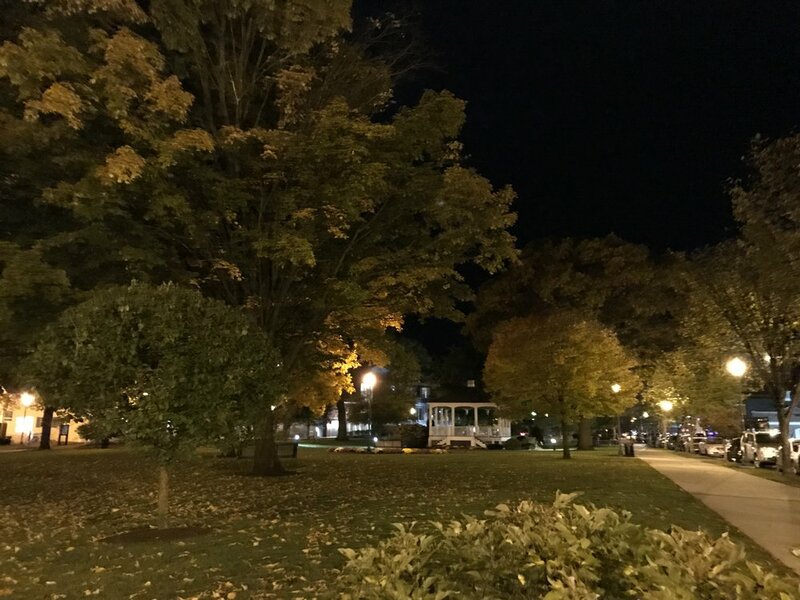 I recommend you check them out next year; even if you don’t have a film screening - it’s in a sweet & scenic town with beautiful Fall foliage, and the festival has overall very worthwhile programming! The town is very vegan friendly. Raul’s Mexican Grill has pretty great vegan churros. YoFiFest, November 3rd at 12pm. We have a January screening in Montana & a February screening in California, but we can’t announce those festivals yet. Stay tuned!